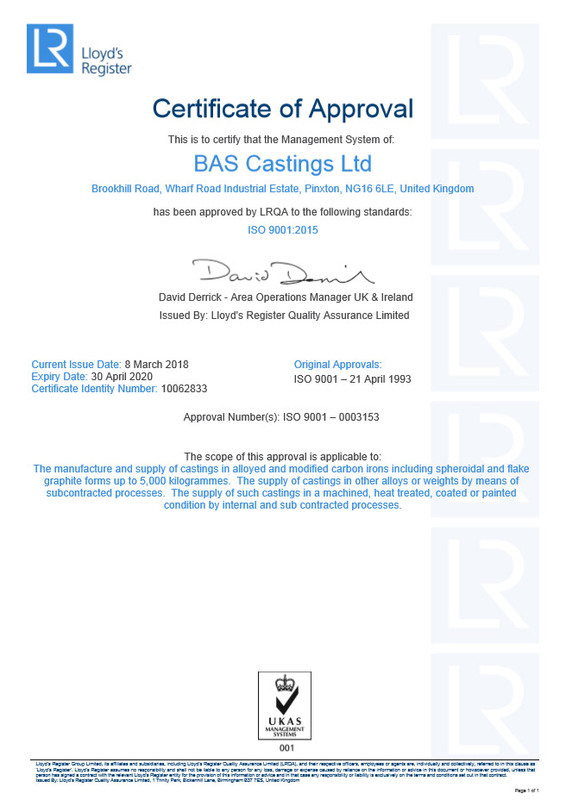 Our quality management system is approved under BS EN ISO 9001. 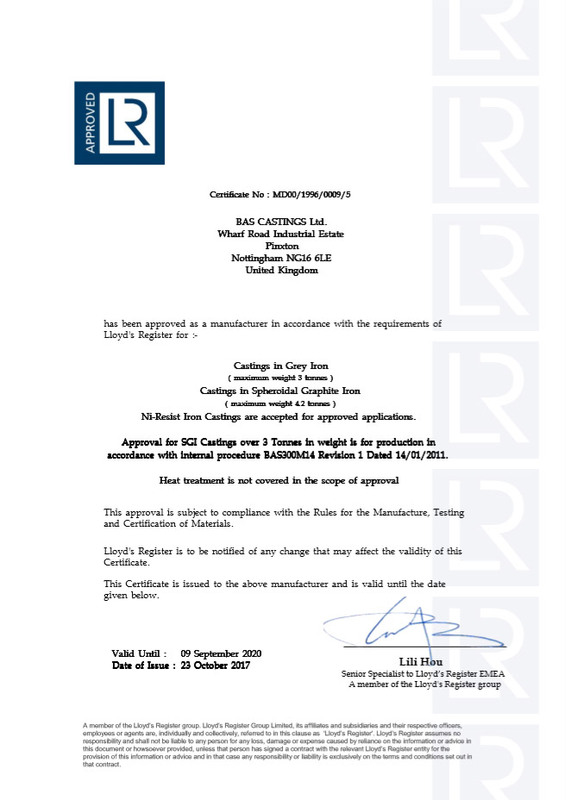 We also hold accreditations issued by Lloyd’s Register, DNV-GL, ABS, TUV, BV and KR from receipt of enquiry, presentation of a fully detailed technical and commercial offer, production planning/liaison and manufacturing processes we aim to provide the highest and most professional service to our clients. 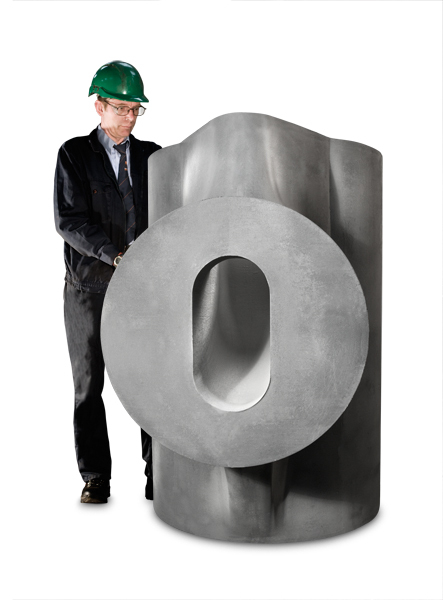 Castings are produced to meet highly demanding operational requirements. 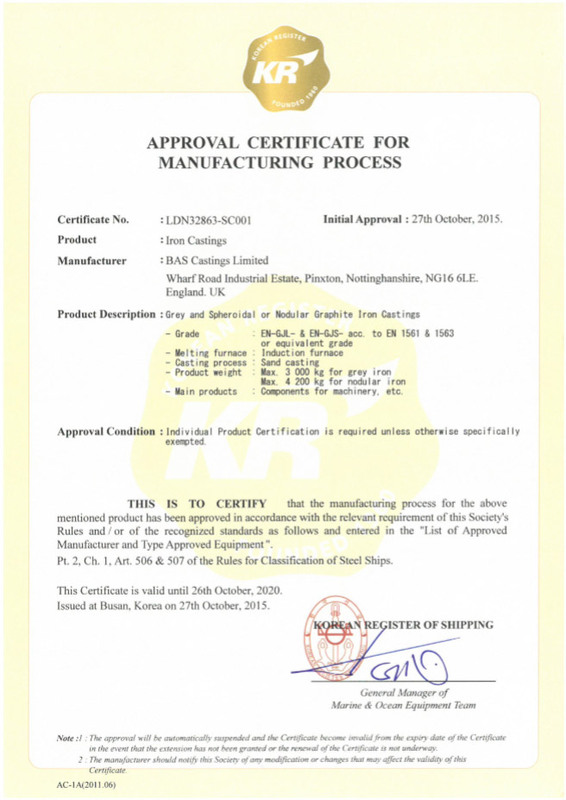 In addition to chemical, mechanical testing and close process controls, the quality of the iron casting is proven by Non Destructive Testing (NDT), machining or sectioning. 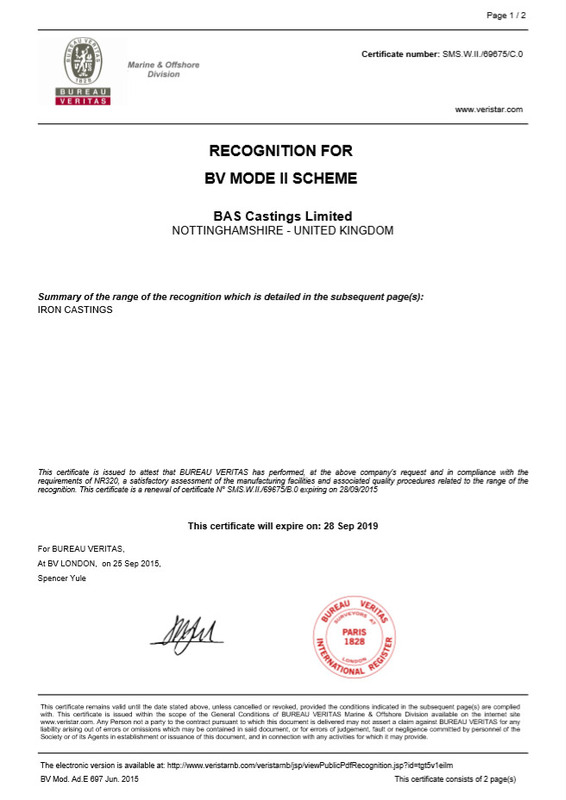 First off castings are checked dimensionally and reports issued accordingly with the submission of the sample. 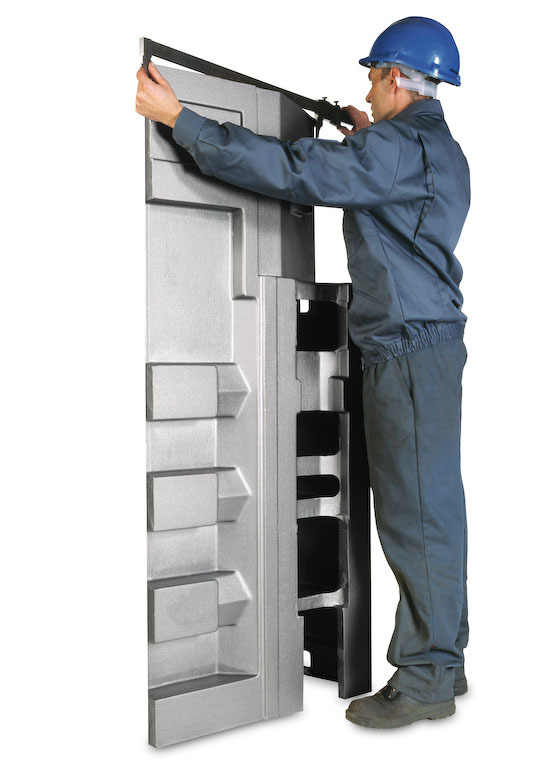 Machined components are inspected on a 3 axis coordinate measuring machine checking the components to three decimal places. 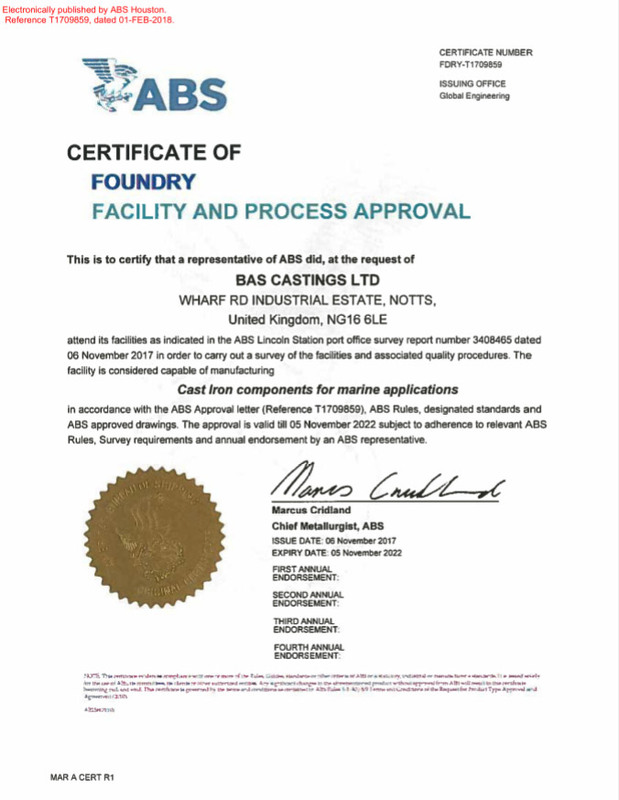 The surface quality of the casting can be confirmed by either Magnetic Particle or Dye Penetrant testing. 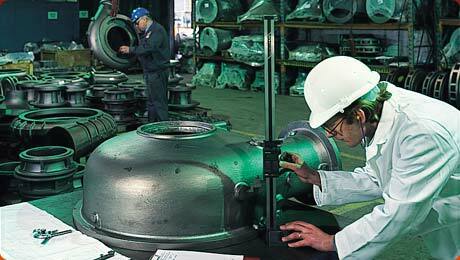 Internal soundness can be checked by radiographic (X-ray) or Ultrasonic testing. 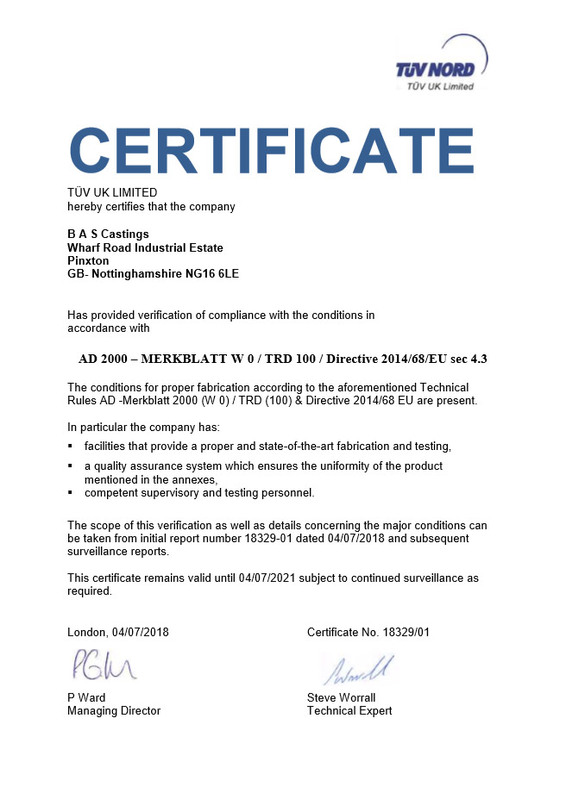 All NDT is carried out by fully qualified personnel working to national, international or customers specific standards. 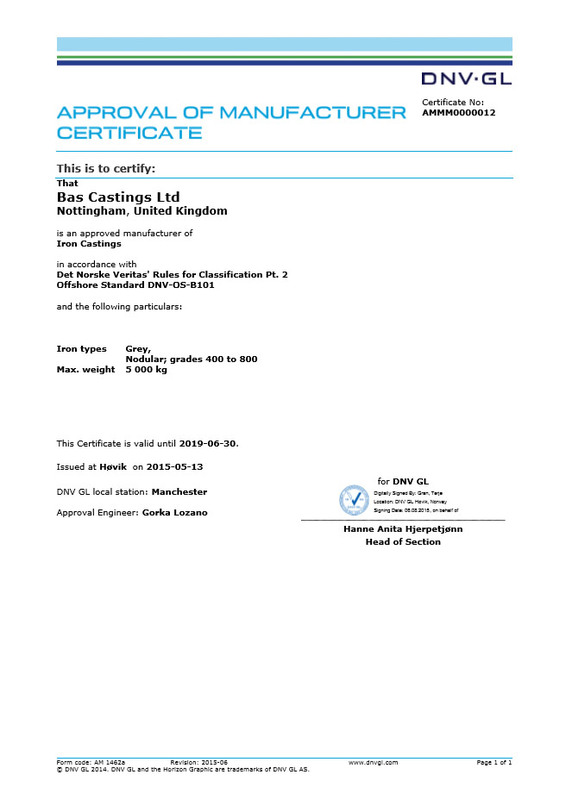 It is the aim of our business to manufacture iron castings right first time. 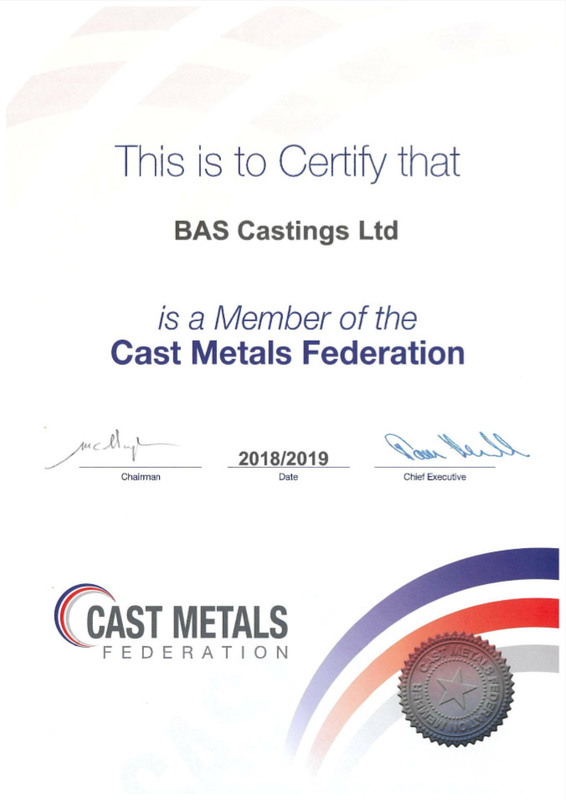 By combining today’s casting technologies with our highly skilled technicians we are able to accept demanding iron casting requirements with confidence.